Progressive rock finds inspiration in classical music then molds and shapes it into its own interpretations and the final results can be awe inspiring. That is not news to listeners of the genre however there always seems to be something new to discover. What is challenging is taking classical gems and creating a magnum opus about a spacecraft and its journeys through space. 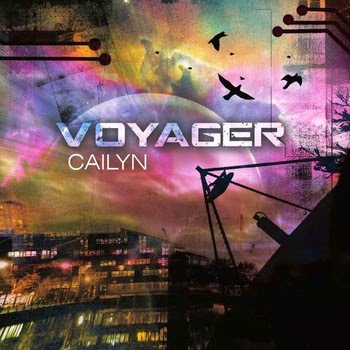 More specifically, this about an ambitious and multi-talented lady named Cailyn and her recently released projectVoyager. I have included an explanation of each track from the artist for your pleasure if you choose to listen to the provided Bandcamp player.